Providing IT services to remote locations generally requires investment in local servers, storage, and networking. Even with all the equipment in place, supporting the branch is a whole different challenge. 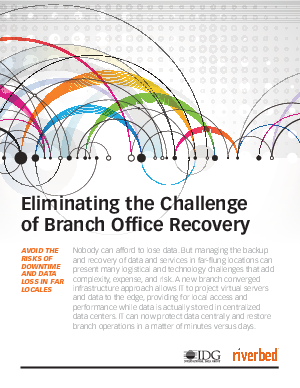 However, a new branch converged infrastructure approach allows IT to provide local access and performance, store data securely in the datacenter, and instantly recover branch offices. IT can now transform the delivery of IT services to the edge. Learn to take advantage of this new approach to recover faster, reduce risk, and save money.